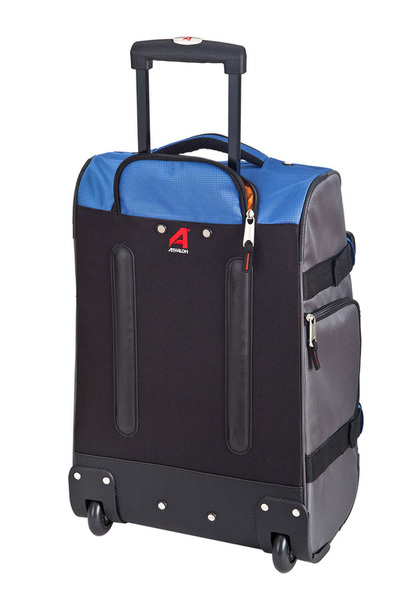 This roller bag blends the styling of a sporty duffel bag with the details of a durable pullman bag. 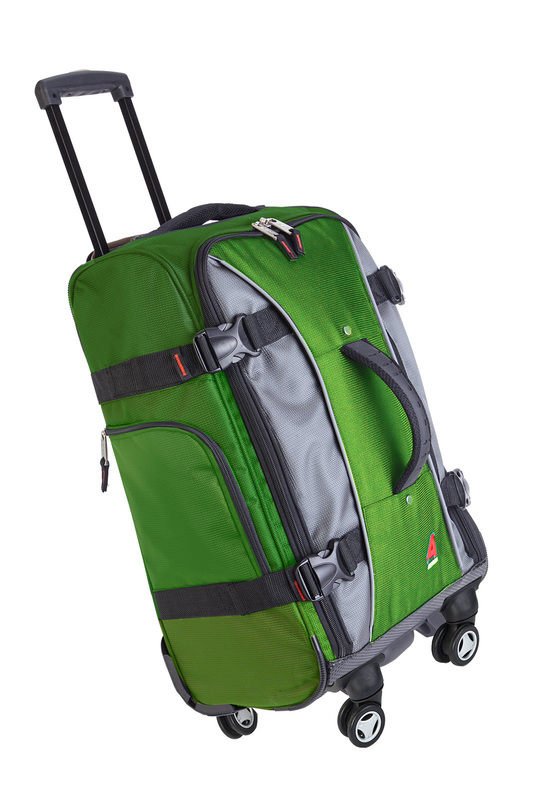 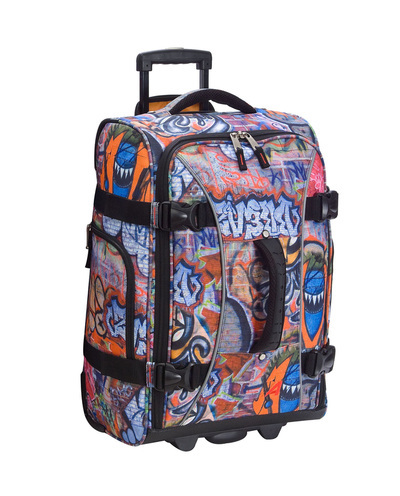 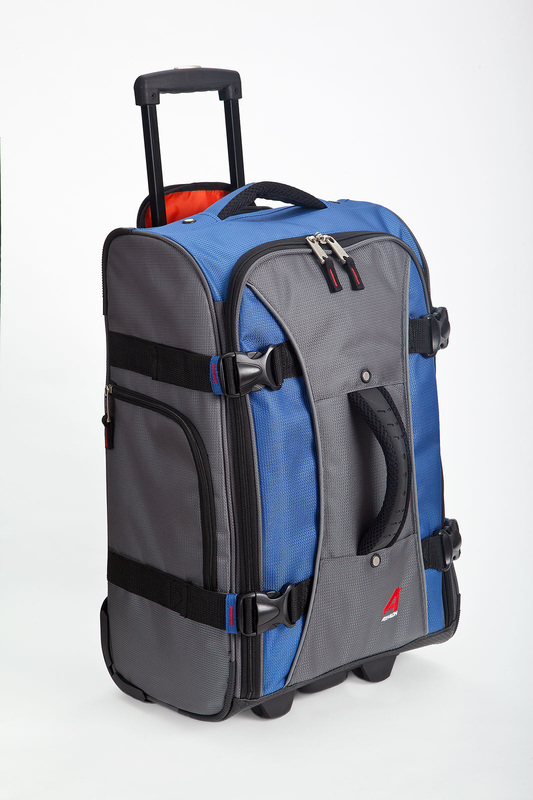 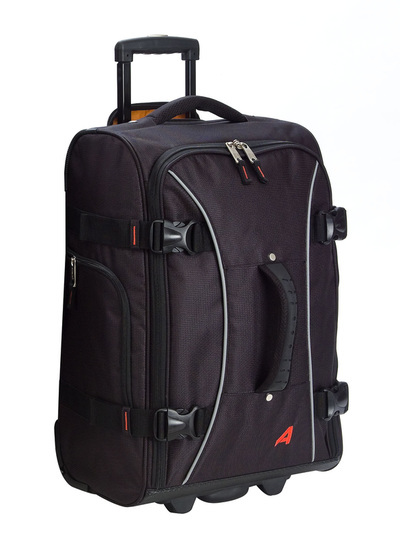 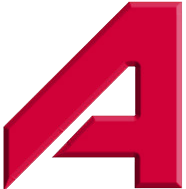 The Athalon 26" Hybrid Travelers suitcase features solid colors and bold graphic prints on poly/nylon fabric with contrast piping, in-line skate wheels for easy mobility, and ergonomic handles on the top, front, and side that make it easy to lift on and off luggage carts and baggage carousels. 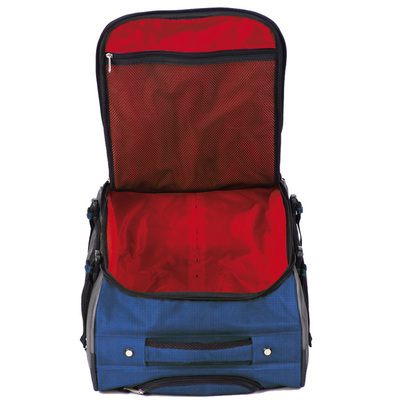 This bag has a wide zipper opening with a contrast lining, interior tie-down straps to keep garments secure, a zippered mesh lid pocket for small items, open mesh pockets for delicates, and elastic pockets for shoes. Exterior Dimensions: 25" x 15" x 11"